A Northampton woman who put her rubbish out on the wrong day must pay a court bill of almost £600 after she failed to pay a penalty charge. 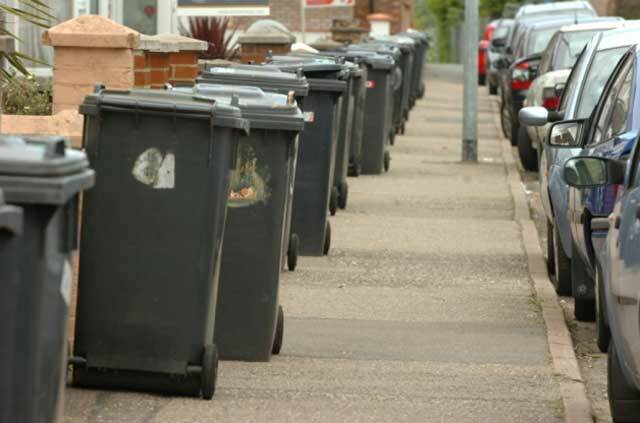 Northampton Borough Council is reminding people to make sure they put out their household refuse and recycling correctly, after a woman who lives in the Briar Hill area was prosecuted for failing to ensure her waste was “presented” correctly. The prosecution was brought after the woman ignored “repeated requests” by the council to pay a fixed penalty notice that she had been issued with for putting out her rubbish on the wrong day. Northampton Magistrates’ Court were satisfied the woman was guilty as she had been given ample opportunity to pay the penalty. She was ordered to pay a fine of £175, costs of £400 and a £20 victim surcharge. Northampton Borough Council cabinet member for the environment, Councillor Mike Hallam, urged residents to dispose of their refuse and recycling correctly in light of the court case. He said: “We take waste offences very seriously and will take action against those who do not present their waste and recycling correctly. “Fines and court action are a last resort, and I just hope that our enforcement work over the last year and this latest prosecution will at the very least serve as a warning to people to behave responsibly and put out their refuse and recycling correctly.” The prosecution was the third prosecution brought by the council in 2014 for environmental crime offences relating to waste disposal.